Returning to the Magic stage for the first time since 2011's Why We Have a Body, Lauren English opens up about Anna’s desires and foibles, and tells us about the surprise blackout that struck The Baltimore Waltz during its tech week. ‍Claire Chafee’s Why We Have a Body (Magic 2011). Dir. Katie Pearl. Lauren English (Lili) and Rebecca Dines (Renee). Photo: Jennifer Reiley. Can you tell us a little about your character in The Baltimore Waltz? What are Anna's best qualities? Her worst? Anna, in her fantasy, gets to be all animal. It's a delight to get to be inside a character who is acting from a place of pure desire and need. I also love getting to be a sister. It's one of my favorite "roles" that I haven't gotten to be in enough in my life. 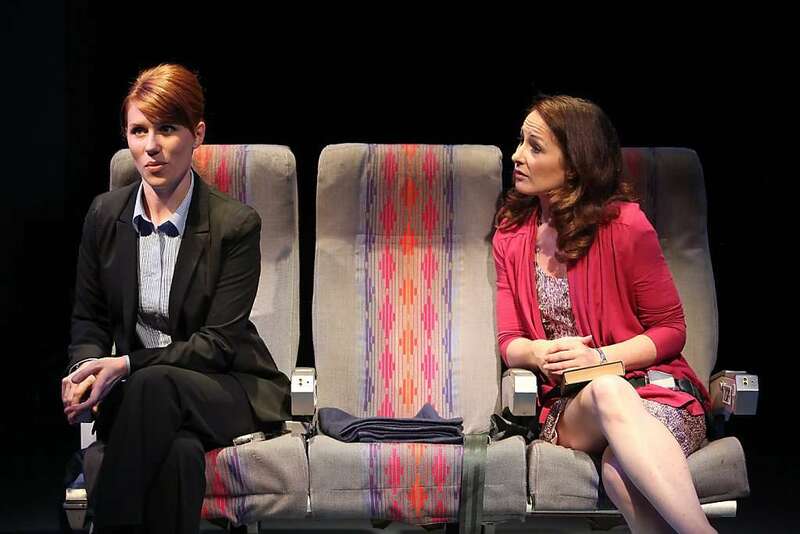 ‍Theresa Rebeck’s Seminar (San Francisco Playhouse 2014). Dir. Amy Glazer. 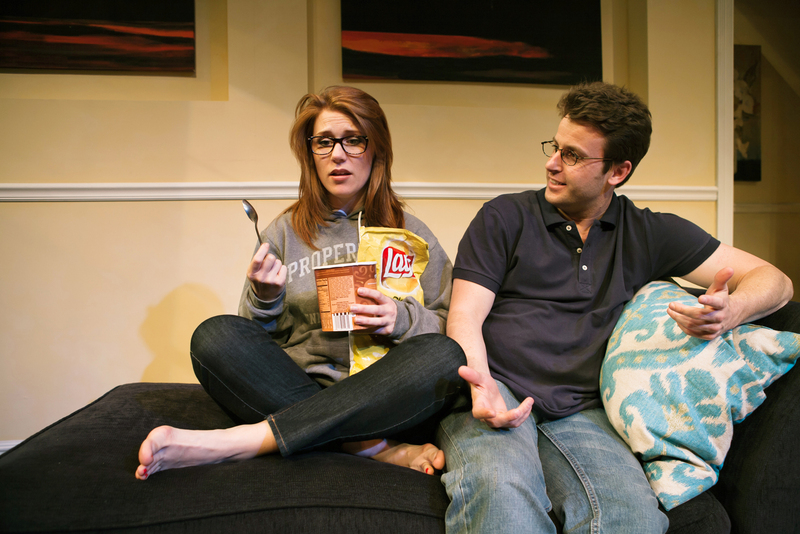 Lauren English (Kate) and James Wagner (Martin). Photo: Jessica Palopoli. The Baltimore Waltz officially opened two days ago - what are you most looking forward to as the run continues? I'm looking forward to being a sweaty, tired mess towards the end of the play and then being swept up in the complete tonal shift back to reality. I imagine it will be like Dorothy going back to Kansas. What is your favorite line in The Baltimore Waltz? "No dear. The passive voice is used to emphasis the subject. To indicate the truth of the generalization. I'm going out, to get fucked." (Excuse my French). This is one of those comebacks that you wish you could conjure in the moment, but you never can. It is SO fun to say (when I can remember it correctly)! During our last rehearsal, the power went out in the entire building. We proceeded to rehearse lit by flashlights and cellphones. There was something really magical and primitive about it. "The show must go on," never felt so apt. ‍Lanford Wilson’s Talley’s Folly (Aurora Theatre 2015). Dir. Joy Carlin. 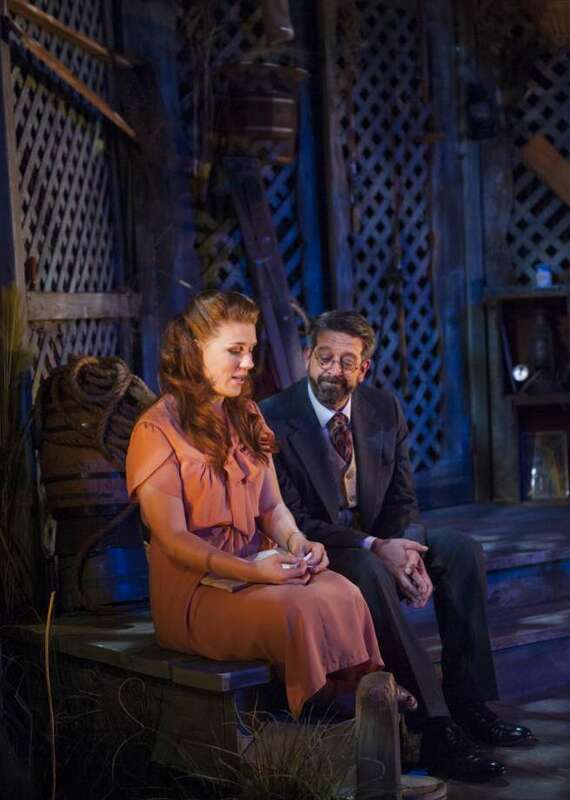 Lauren English (Sally Talley) and Rolf Saxon (Matt Friedman). Photo: David Allen.